Soldiers' Angels - Can You Help Us Ship Coffee to the Troops? 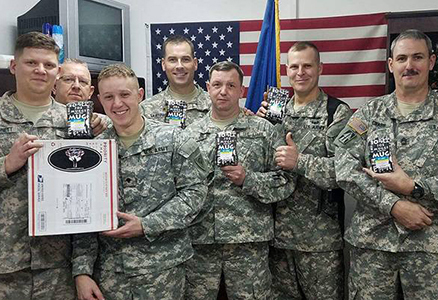 Can You Help Us Ship Coffee to the Troops? Can you imagine a morning without coffee? For some of our deployed service members, a cup of morning coffee may be a luxury. Luckily, Soldiers' Angels has thousands of bags ready to get to our troops... we just need your help to cover the cost of shipping. Shipping one care package, which costs $18, will supply enough coffee to make 496 cups of coffee! Click here if you can help us ship one or more care packages of coffee to deployed service members.